Tennis strings quite often get overlooked as pertaining to performance. But it’s the part that makes contact with the ball (ideally). Would you put cheap tires on a Ferarri? So below are the results of an unofficial TennisCrowd String Survey from players in Seattle area. 1. Do your strings typically break? 2. Is the color of the string important to you? 3. What single feature do you consider is most important when it comes to tennis string? 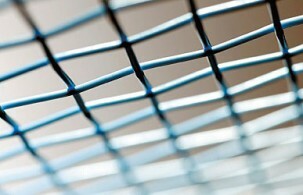 4. Who chooses the string that goes on your racquet? 5. How often do you re-string your racquet?